Успешные трейдеры знают, что нет необходимости всегда находиться на рынке с открытыми позициями, чтобы быть прибыльными. Важно быть на рынках в нужное время. Что происходит с вашими деньгами на Metatrader4 счете, когда вы ждете подходящей возможности для торговли? Ничего. Наш сберегательный счет – это депозитарный счет, на который вы можете перенести неиспользуемые средства и получать процентный доход. Нет никаких временных лимитов для снятия средств и/или для начисления процентов. Вы можете снять средства, когда вы хотите, не платя никаких дополнительных сборов. KEY TO MARKETS NZ Limited is a company registered in New Zealand under number 4472148 KEY TO MARKETS NZ Limited does not offer any services to residents of New Zealand, USA, Iran, North Korea and other countries where restrictions apply. For the full list of restricted countries please contact us. KEY TO MARKETS NZ Limited is wholly-owned and controlled by KEY TO MARKETS (UK) Limited a company registered in the United Kingdom and regulated by the Financial Conduct Authority (FCA register number 527809) and with the MiFID passport is able to carry on its business in all the European countries subject to MiFID regulations. KEY TO MARKETS DMCC is a company registered in Dubai (UAE) – DMCC free zone under number DMCC95681 and regulated by the DMCC with trading license number DMCC-344359. Trading in Margined Foreign Exchange carries a high level of risk to your capital and is subject to rapid and unexpected price movements. A key risk of leveraged trading is that if a market moves against your position you can incur additional liabilities far in excess of your initial margin deposit. Only speculate with money you can afford to lose. The products listed on this website may not be suitable for all customers, therefore ensure you fully understand the risks involved and seek independent financial advice if necessary. Nothing on Key to Markets' websites, emails or any other form of communication or advertisement is intended to be a recommendation to buy or sell in any financial derivative markets. No representation, implicit or explicit, has been made that any account will or is likely to realize any particular profit or loss. CFDs are complex instruments and come with a high risk of losing money rapidly due to leverage. 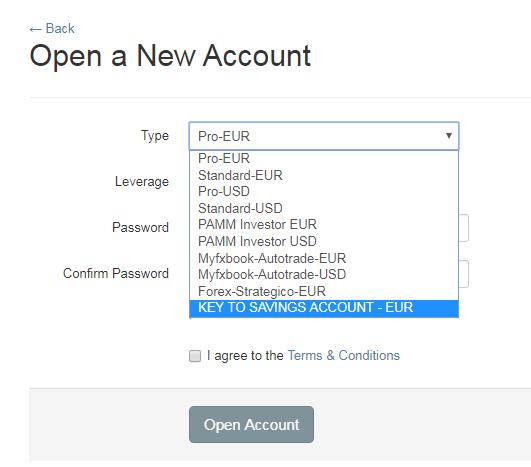 71% of retail investor accounts lose money when trading CFDs with us. Key to Markets and his partners use technology such as cookies on our site to personalise content and ads, provide social media features, and analyse our traffic.